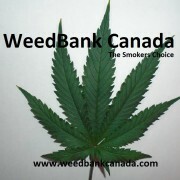 Weed Bank Canada is the place to come to find the best weed for sale in Canada and beyond. We have a huge selection of quality cannabis for sale as well as seeds, growing & smoking accessories along with any other weed related items you can possibly think of. Our massive selection is constantly growing so be sure to check back often for great products and fantastic deals. Weed Bank Canada delivers high quality weed to places all over the world. We bring all the best products together under one roof for you to easily choose from. Whether your looking to buy medicinal marijuana or if you prefer to choose from our extensive line of growing or smoking supplies. We have searched all over and found that there are a lot of places to buy weed but not all of them are created equally. So we chose to carry only the finest and newest products for your enjoyment. For the growers out there We also have regular and feminized marijuana seeds from some of the very best breeders around the world. 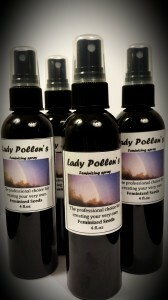 Looking to create your very own feminized seeds check out the awesome “Lady Pollen” Feminizing sprays and fertilizer. They are sure to please any enthusiast. Once registered for marijuana purchases our checkout is fast and easy. Weed Bank Canada has an extensive registration and age verification process to prevent any sales to minors. Registration may require a phone verification process. Are you looking to get your medicinal or commercial grow started or looking to make the switch to LED? Let us handle the equipment and the setup. 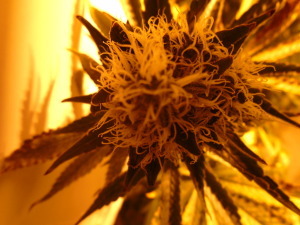 We have trained staff and electricians available to set up your state of the art weed growing paradise. We can also stay a while to help you get comfortable with your new surroundings. After we leave we’re not gone. We have a customer support team that will help guide you through any issues for as long as you grow. All that will be left for you to do is grow. Send us a message on our contact form and get growing fast. There has been a growing trend with purchasing mail order marijuana through various internet services over the years. Buying weed online has not only become acceptable it has also become safe, discreet and convenient. With the ease of online ordering, Long gone are the days of meeting some guy in a back alley somewhere or in some bad part of town and transporting it back with you. Consumers still need to exercise caution and be responsible buyers. It is be best to choose a company that is not just focused on their financial gain, but will also consider the buyers need for safety and quality. With the demand constantly increasing, online suppliers are now on the rise. Weed Bank Canada means Canadians can now purchase weed online safely and have the weed, marijuana seeds, fertilizers, feminizing sprays or any other item delivered discreetly by Canada Post or another postal service. Weed Bank Canada is a full service weed supplier supplying only high quality products and weed strains. been major problems for medical patients Due to complications on figuring out, who or why an individual can or should be eligible or allowed to grow these weeds for themselves or other people. The majority of legal marijuana is now being delivered to legal users through Canada Post, Purolator or other available mail and delivery services. Purchasing weed for sale online from Weed Bank Canada reduces safety and privacy concerns. The rise of online weed retailers in Canada and around the world is no longer a surprise. Another great weed bank to check is www.weedforsalecalifornia.com for American residents. cannabis ranging from Premium grade A+, High grade A, Better grade B, and entry level grade C. Our marijuana buds are selected from top growers and dispensaries around the world. These Buds are the pinnacle of marijuana excellence. These strains are highly sought after but rarely ever tasted by most. These are the best tasting, cleanest burning, most potent and fragrant strains on the market. 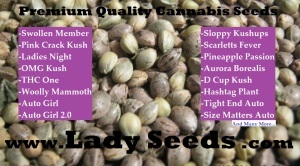 With a massive demand for these high quality weed strains. 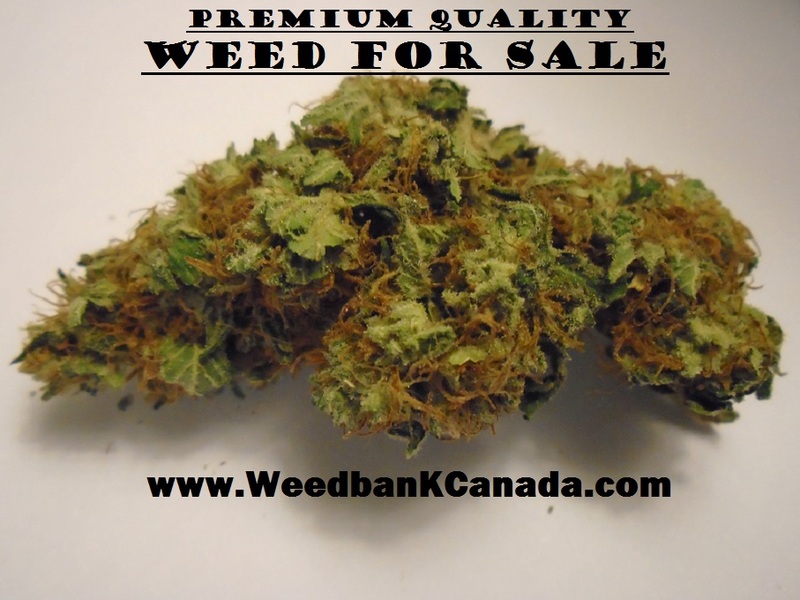 The quality control requirements set by www.weedbankcanada.com are so high that very few marijuana strains ever make the cut. When we call it an A+ premium grade strain it doesn’t stick around for long. We offer all Premium grade A+ marijuana and strains to the members of the “NuGcLuB” one week before offering it site wide. That is one of the ways we show our appreciation to our valued customers for their continuous support in making Weed Bank Canada the best place for Canadians to buy weed. Sign up today and see what strains we have available for you. Weed Bank Canada’s High Grade “A” weed and seed strains are fantastic tasting, clean burning and very potent. The potency and fragrance are top quality. Some of these may come from exotic or less common strains from top growers. These include some of the best marijuana strains on the planet and our best sellers. When you purchase grade “A” marijuana from Weed Bank Canada you can rest assured that you are getting one of the best strains on the planets. Weed Bank Canada’s “C” grade weed and strains are of moderate quality. The weed is either grown outdoors or is a lower grade indoor than that of grade “B” or higher weeds. These good quality buds are great for the new to mail order weed or have a lower tolerance for marijuana. These entry level buds are sold to you at a great prices. Our grade “C” strains are strains that have proper bud structure but do not meet the higher quality standards of weedbankcanada.com. Weed Bank Canada also offers optional shake blends as a lower grade option. The shake blends are the combination of all the bag bottoms of the mid grade to top grade strains. These shake blends are a great bargain for people that are looking to get a mix of tastes in one bag. 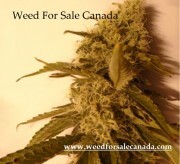 Purchasing marijuana from Weed Bank Canada.com can be quick and easy once registered with us and your age is verified. We strongly believe in not selling to minors and reccommend that you take the proper precautions needed to prevent any minor from gaining access to your marijuana. We believe that preventing the sale to minors is very important. For any marijuana service provider, it is a must to ensure that the welfare of kids and adults is considered. We also make sure that weed is only sold to adults, who are sane, financially able and will be responsible for preventing any access to their weed by a minor. We may require customers to have a one or two minute consultation call to verify age and name before completing a new customer purchase. This helps us ensure that these top quality buds are only made available for the right buyers and not to minors. If you are not yet a repeat customer, you might be thinking “This can’t be real?” It must be a scam. well…we at Weed Bank Canada are very real and here to help you and your friends acquire the finest bud, food, hash, and other products that might be difficult to find in your local city or town in Canada. Remember that some cities in Canada are very tolerant of pot and have retail stores that you can buy weed from just by walking through the door. Yes you can buy weed online from our pot mail order delivery service 24 hours a day. Send us an email to learn how we can help you with our great service and excellent weed products.